You know that bad dream, where you show up on the day of the big test and realize that it’s about something you’ve never even heard of? Well, guitarists have a similar phobia: You step on a pedal, but instead of boosted gain or lush delay trails, you’re treated to silence. The only difference is that most guitarists have actually lived this nightmare scenario while practicing, jamming, or—gasp—even during a gig. 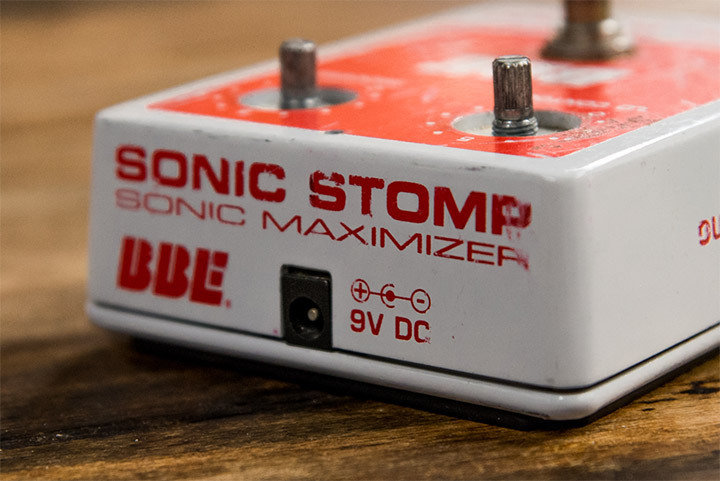 Today, we're looking at five of the most common problems that affect stompboxes. 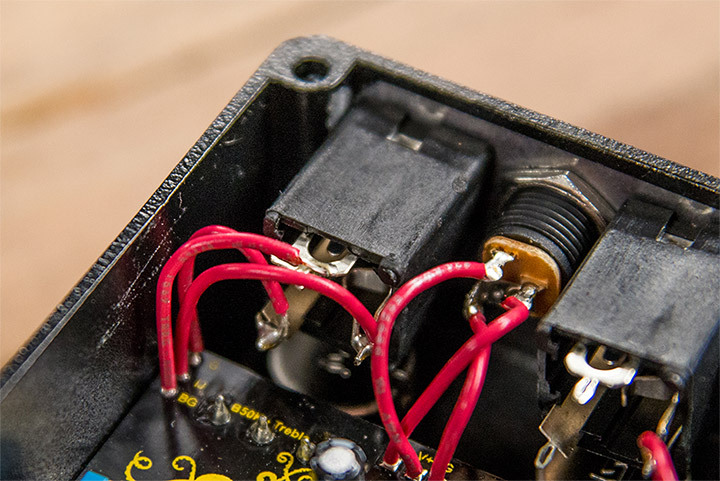 From loose jacks to broken lights, these are small problems that can nonetheless wreak havoc on your pedal's tone and reliability. The good news is that most effects pedal problems have very easy solutions. Often, you’ll just need a soldering iron and some replacement parts, if even that. 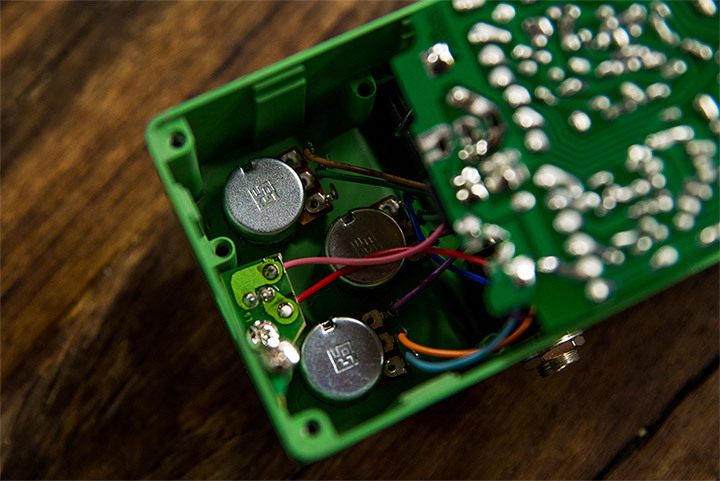 Because this is a primer intended for guitarists who may have never gone inside a chassis except to swap out a battery, we won't be getting into replacing resistors or capacitors. But if a pedal's causing you pain, or if you just want to rest a little easier the next time you step on your TS9, read on. These are common problems you don't have to be an expert to fix. Before you open anything up, make sure you take a look outside your pedals to ensure that you have everything set up correctly. If you plug in and play, but don't hear a sound, the most likely culprit is a cable. To test your cables, just hook up your rig like usual and work backwards. Take the last cable out of the output of the last pedal and put your thumb on the tip of the jack. If you hear a buzzing noise, that means the signal is coming through. Plug it back in and test the cable coming from the next output. Keep going cable by cable until you find your problem child. Slow? Maybe. Methodical? Yes. Effective? You betcha. But what if your cables are working fine and you’re still having signal problems? Check the power supply on each pedal. For 9V batteries, just take them out and use a battery tester. When using an external power supply, try it on a different pedal of the same rating to make sure it’s working. Also, make sure that you’re using the correct polarity for your power socket. Power sockets are usually center negative and look like little tubes, though you may run into a center positive socket (especially on older pedals), which looks more like a headphone jack. A center negative power socket. You’ll also want to check the voltage requirements of your pedal to avoid serious damage to your circuit. Fortunately, voltage is really simple: If it says 9 volts, use 9 volts. If it says 12, use 12, and so on. 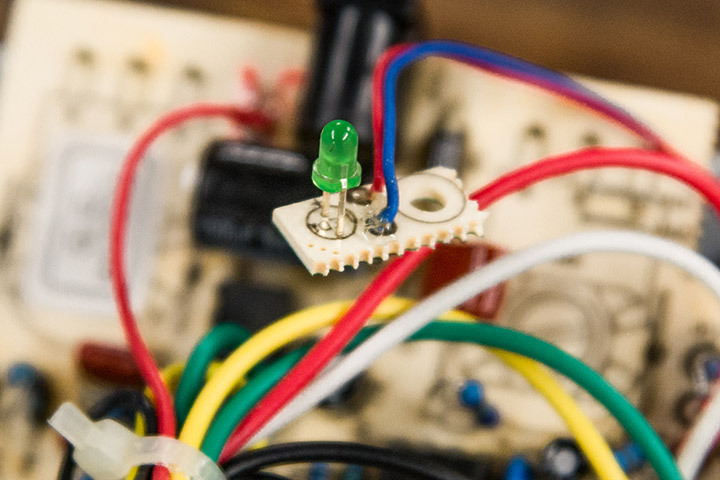 Amperage (somewhat confusingly referred to as “amps”) is a little more forgiving, and as long as you meet or exceed the current requirements of your pedal, you’ll be fine. 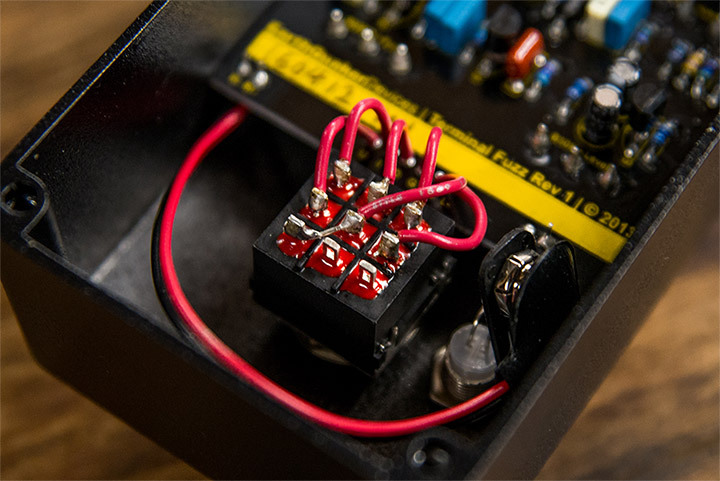 If you’re daisy-chaining multiple pedals from a single power supply, just add up the current requirements of your pedals and make sure that your wall wart can provide more amps than that total. Pedals take a beating, and that starts with the footswitches we pulverize every time we’re about to go into a chorus. Footswitches have their physical limitations, and they usually will break down after a while. You’ll know when this happens because you’ll lose all signal and your footswitch will no longer click when you step on it. So, what if your signal isn't dead, but just a little finicky? Sometimes you can angle the cable a certain way and get the effect you’re looking for—but other times, you can’t get it to make any sound at all. What I’ve just described is likely caused by a broken input or output jack. This usually happens for a really silly reason: wiggling. When you have a loose screw, there’s just a little bit of wiggle room in the input jack, letting it move it back and forth incrementally. Eventually, the movement can cause a solder joint to break down or a wire to fray. Anyone who’s ever used a clunker guitar that only works when you put the cable in just right has dealt with this problem. The good news is that you may not even need to buy any replacement parts to fix it. Simply tighten the jack until you can’t feel any play, then check the connections. If anything looks flimsy or suspect, reflow some solder. You can also try stripping away a little of the casing if you need to make a fresh start with your wire. How your jack should look. What if the pedal’s on, but you can’t tell just from looking at it? While this may spell disaster for a gig—triggering, say, a squall of fuzz during what was supposed to be a quiet bridge—this is usually a simple problem, attributable to a malfunctioning LED. It’s important to note that LEDs tend to be among the most reliable components, so if your light won't shine, it's usually because of the connection, not the bulb itself. That’s an easy enough fix that simply requires reflowing some solder, just as you would for a loose jack. If the problem persists however, replacing the LED is a cinch. Just like other parts, you simply take out the old one and put in a new one. You can find replacement LEDs here. It’s always nice to notice an old pedal or other piece of gear sitting in a forgotten corner of the garage and think, “Man, why’d I ever stop playing that thing in the first place?” If you get lucky, you plug it in and immediately ascend to tone heaven. But often, you'll remember why you neglected it for so long—the signal is unreliable, hissing or cutting out when you turn the knobs. Well, what you have there is a dirty pot (short for potentiometer, the device beneath your plastic or metal knob). As you may have guessed, the main culprit is dust and dirt that builds up from years of not being used. An internal view of the pots. No need to worry about the technical stuff, since you can usually fix (or at least vastly improve) a pot’s performance with electrical contact cleaner like DeoxIT. Simply unplug your pedal and/or take out any batteries, remove the pedal's back plate, and spray some contact cleaner into the backside of your pot. Now, twist the knob back and forth several times to clean and lubricate the pot. Use a cloth or some paper towels to dab dry the excess cleaner. It’s a good idea to clean all your pots since you’re in there. And it’s an even better idea to do this procedure outdoors, since the fumes from contact cleaner can be a doozy. Either way, contact cleaner can really revive an old dirt box or wah pedal. And if the problem persists, replacement pots are inexpensive and easy to install.